Pumpkin is coming! 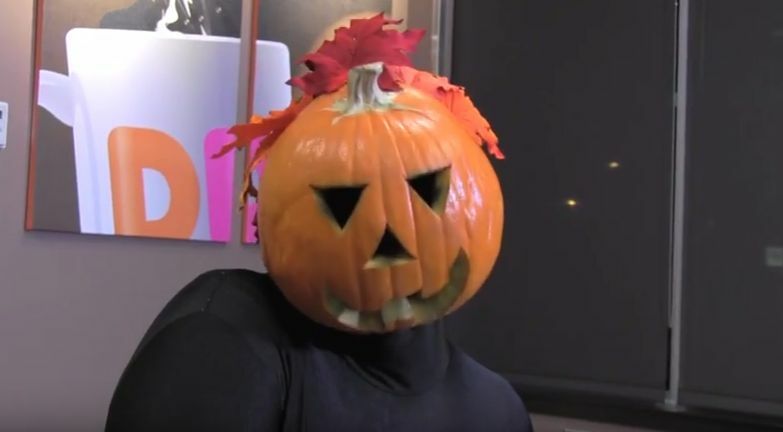 To welcome the fall favorite, we’ve enlisted the internet sensation and king of memes himself, Dancing Pumpkin Man. “Dancing Pumpkin Man, by definition, has to be excited about the arrival of fall and pumpkin-flavored anything. Plus, I’m a huge Dunkin’ Donuts fan in real life, so I’m thrilled to help celebrate the return of all things pumpkin at Dunkin’,” says Geiler. Our Pumpkin lineup returns to Dunkin’ Donuts restaurants nationwide by August 28, including our Pumpkin flavored coffee and lattes, donuts, MUNCHKINS®, muffins and new Pumpkin Cream Cheese Spread. Also joining our fall flavors this year is the new Maple Pecan flavored coffees, the new Maple Sugar Bacon Breakfast Sandwich, and the new Festive Fall Donut. Are you excited for the return of all things Pumpkin? Let us know on Facebook, Twitter and Instagram!